All car, truck, RV, marine amplifiers and repeaters listed below are compatible with your Wind Mobile service. Wind Mobile Vehicle Signal Boosters for cars, trucks, RVs, boats and other vehicles. 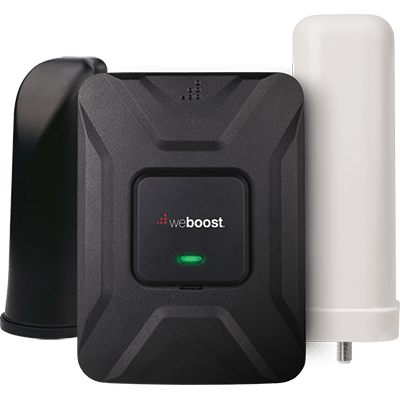 Wind mobile signal boosters for car such as the weBoost 4G kits help take advantage of more speed and more power of the faster and stronger Wind Mobile 4G, 5G, LTE+ or LTE Advanced networks to download and upload wireless data as fast as your phone and Wind Mobile is capable of providing. Wind Mobile claims to have a coast to coast coverage across Canada and United States. It is a fact that Wind Mobile was one of the first to understand the changing dynamics of the wireless network usage and that people would be on the go and will need expansive coverage across the country and beyond. Thus, the company had started tying up with various networks across the continent and beyond to offer seamless connectivity. Roaming charges or local network issues aside, Wind Mobile has done a good job to come up with a partner network that can pretty much assure you connectivity no matter where in North America you are. That is of course excluding the networking dead zones that exist. Despite the expansive coverage and otherwise reliable network reception, there are areas and instances when you would struggle to get the desired signal strength. Considering the fact that data packets are heavier these days owing to higher speeds and more traffic only makes communications worse, you would face network issues at home, perhaps in your office and certainly when you are on the road. You cannot risk being unreachable when you are traveling. The only remedy is to use a Wind Mobile signal booster for car. There are two types of Wind Mobile signal boosters for car. One is a single user system that uses a cradle. The other is wireless multi-user boosters. 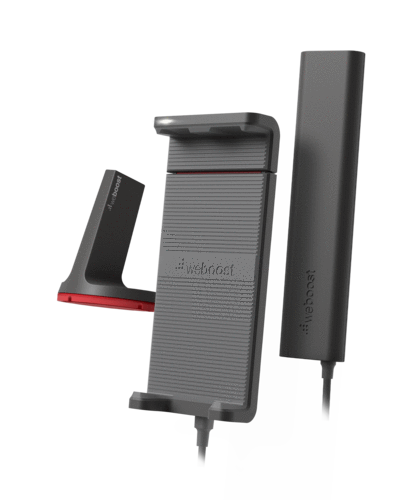 weBoost Drive 3G-S (470106) Cradle Booster Kit is compatible with 2G Voice or 3G Voice & Data and is good for a single user. This booster is apt for trucks and vans or SUVs and small cars as well. You could also use this in boats and recreational vehicles. But as the name implies, this device works for a single user and there is a cradle. Hence, your phone or device will have to stay hooked to the cradle of the booster to get the amplified signal strength. The boost provided by this device is up to 23 dB. There is another distinct advantage of this Wind Mobile signal booster for car. It saves power. When you are on the go, you cannot have your phone running out of juice. When the phone is consistently searching for the network or better signal strengths, it will use a lot of power. Using this booster will help the phone to conserve power. In effect, your phone battery will last much longer. There is a 4G variant of this Wind Mobile signal booster for car, weBoost Drive 4G-S (470107) Cradle Booster Kit. • A single user or a cradle system will only work for those who would be on the road alone and those who wouldn't mind having the device docked at one place. If you need multiple users to access the Wind Mobile signal booster for car, then you need a wireless variant. Also, you may not get the signal boost in a cradle system once you undock the phone. That is where boosters like weBoost Drive 3G-M (470102) Wireless Booster Kit become relevant. The device is compatible with 2G Voice and 3G Voice & Data. You can boost your phone's signal strength by up to 50 dB with this device. It is ideal for hatchbacks, sedans and some midsize SUVs. You can use this device on small boats as well. 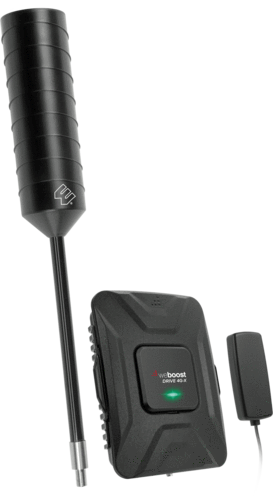 There is a 4G variant of this Wind Mobile signal booster for car: weBoost Drive 4G-M (470108) Wireless Booster Kit. • weBoost Drive 3G-X (470111) Most Powerful Wireless Booster Kit offers a boost of 50 dB. This device offers coverage spanning a radius of six feet. This is sufficient for all small cars, luxury sedans, trucks, recreational vehicles and even midsize boats or yachts. While a six feet radius may not sound much when you are considering a booster for your home or office, it is good enough when you are on the move. The 3G-X is particularly known for consistent boost. Like the network or the signal strength itself, the boost offered by boosters can also fluctuate. It is not given that a particular Wind Mobile signal booster for car will consistently offer you a boost of 50 dB or any given number. Also, the coverage area keeps fluctuating depending on the available network and signal strength at the time. This Wind Mobile signal booster for car has proven to be very consistent with its boost and availability of network. • weBoost Drive 3G-X NMO Antenna (470411) Booster Kit works on 2G and 3G networks. It can improve the quality of calls, real time correspondence of texts, it can increase the data speeds and can also ensure consistently strong signals to maintain accessibility. The Wind Mobile signal booster for car can increase the signals by up to 50 dB. There is an antenna that must be drilled. You cannot mount it so factor this in. The booster has ability to cover an area of six feet radius all around it. Hence, the installation of this booster will determine where exactly in the car or on the boat you would get the enhanced signal strength. Strategic installation is always crucial when we talk about any Wind Mobile signal booster for car. It is also significant when you install a booster in your home, office or building. • weBoost RV 4G (470201) Signal Booster Kit For RV is compatible with 2G Voice, 3G Voice & Data and 4G LTE Voice & Data. The range of this booster is about 1,500 sq. ft. and it can increase the signal strength by as much as 60 dB when the signal outside is strong. With medium outside signals, the coverage area would be 1,000 sq. ft. Even 150 sq. ft. which is the coverage area when outside signal strength is very weak would be good enough for a recreational vehicle. Factor in the type of car you own, its size, the kind of terrains you would tread on to fathom the quality of network reception or signal strength your device would have to deal with, how many people would access the booster, and the coverage area desired and the signal strength gain you need. Do not compromise on any of these elements when buying a Wind Mobile signal booster for car.